You must make reservations at least 5 minutes in advance of the time at Cibo Bistro. Cibo Bistro is located in Oliver Village which provides a full size Public parking lot with FREE parking with registration of licence plate. Cibo Bistro's front door faces the garden area, so park where ever you like and walk on over. Starting August 2016 guests will be required to register their licence plate in a tablet located at the front door. Failure to do so will result in a $75 ticket. Tucked away off 104th Ave in Oliver Village picture a garden side patio, and a Bistro adorned with candle lit tables, modern pieces and old world touches. The 50 seat modern Italian Bistro is perfect for a romantic night out, an intimate evening with friends or a large gathering of family and co-workers. Private bookings are also available for large corporate functions & private parties. Special events and dinners are hosted at Cibo Bistro throughout the year. We've been known to bring in wine makers from Italy or host a fun event taking you on a mini trip to Italy for the night. Follow us on twitter @cibobistroedm or like us on Facebook to stay in the know of our upcoming events. 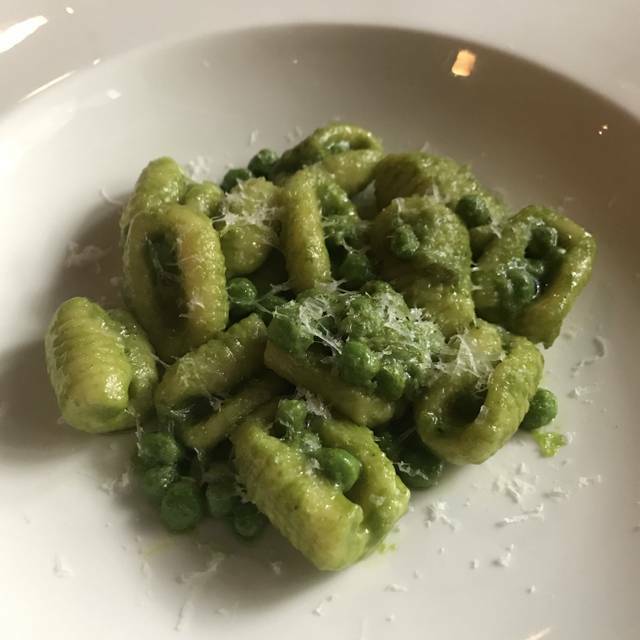 “Cibo" (pronounced CHEE-bo) means food in Italian, and that’s what this Italian Bistro is all about. 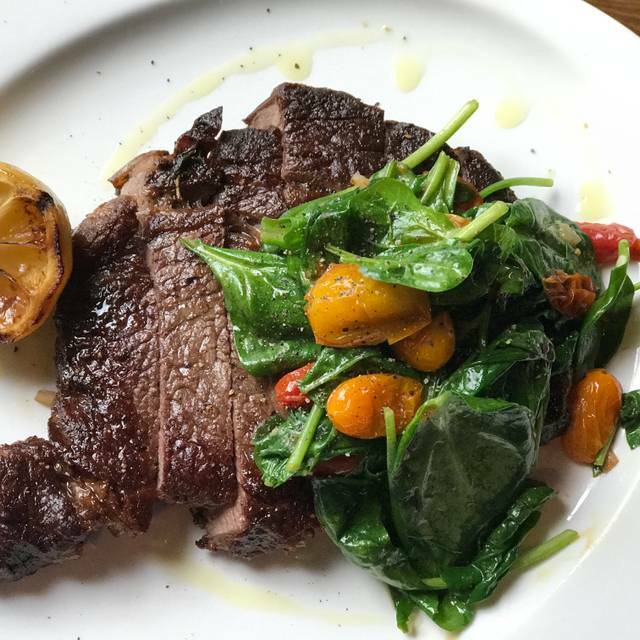 We like to keep the menu simple, tasty, and focused, using fresh local ingredients. Cure our own meats, make our own cheese and hand roll our pasta. We make almost everything in house with a menu that changes seasonally. Superb restaurant, we will definitely return! Cappellacci on black truffle crema stole the show, best pasta we have ever had. The Bistecca was also amazing and a great portion size for sharing. Best cocktail is the bergamot and ginger iced tea. Enjoyed Cibo- went in with no real expectations (had heard good things though) and was totally impressed. 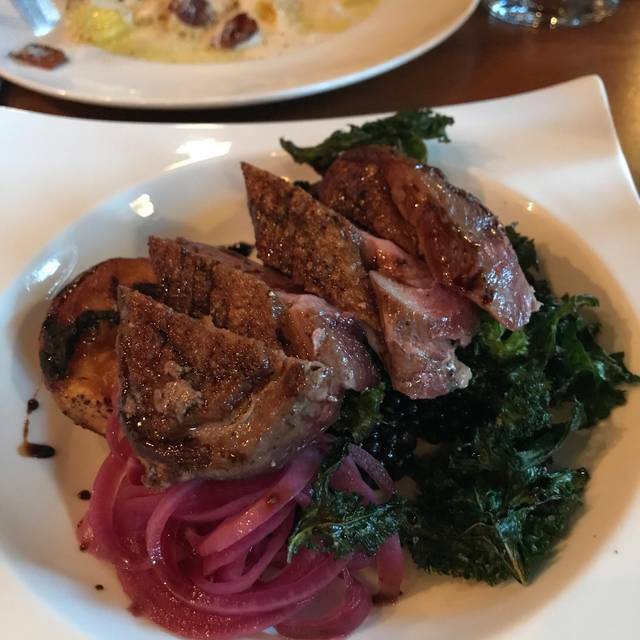 Arancini were delicious and fell in love with the rabbit and duck plates- the duck is, by far, among the best I’ve had in the city, perhaps tops. Dessert was tasty and wine list while short, still had good choices. Cappuccinos were also delicious. Amazing food, server was great! Have been recommending to everyone! Food was as advertised but the bar service was very slow. Waited 10 minutes to be seated. Not sure we will be back. The food at Cibo Bistro is exceptional and never disappoints The wine list is great and the service is always spot on! I've enjoyed Cibo Bistro with friends, celebrated special occasions and also evenings out with my family. Amazing! We love small, independent restaurants so we thought we would try Cibo. Everything about our experience was incredible. 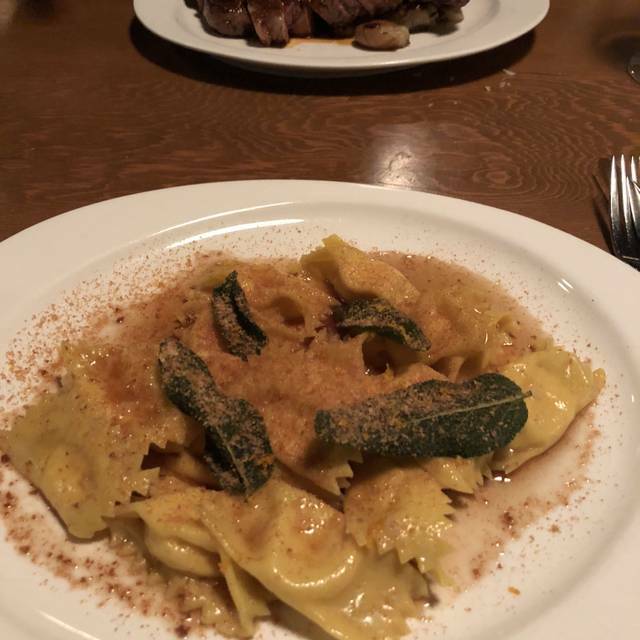 We had the carpaccio, shaved Brussels sprout salad, and their pasta special, a tortellini. Everything was very fresh and absolutely delicious. Try their Rosmarino Agro Dolce from their cocktail menu. Their mixologist is very talented! Fantastic special dinner out! Amazing food, fantastic service and ambiance. Can't wait to come back! One of the best resto meals I have had in a long time. 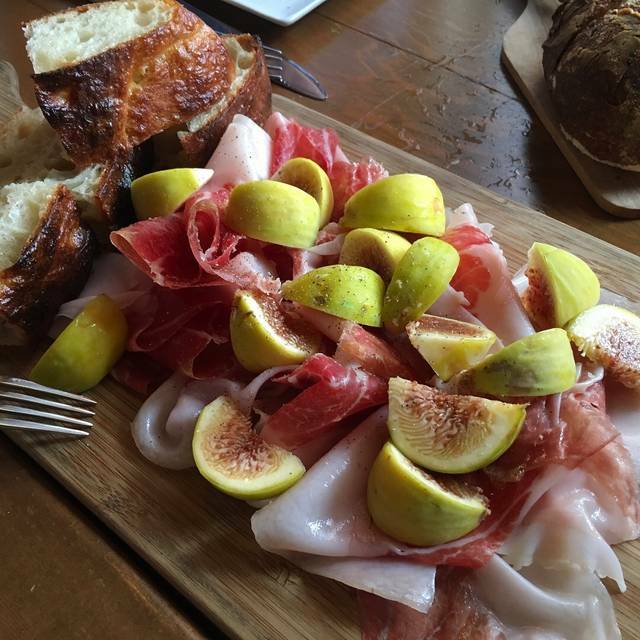 The meal was reminiscent of our family trip to Tuscany because of the food and the unhurried atmosphere. The food was amazing. The presentation was beautiful. I thought the serving size was fair for the price and the quality of the food. 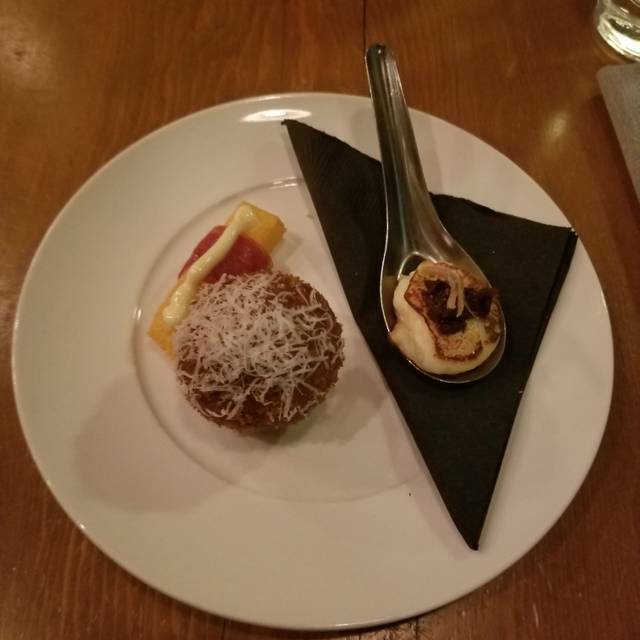 The flavour in the Arancini was exquisite and the gnocchi was light with a delicious sauce. Everyone in our group enjoyed the meal. The waitress was really good. She was attentive but not overbearing and offered good suggestions. Overall it was an excellent experience. Everything was FANTASTIC. Thank you for the experience. My daughter ordered a pasta dish and we had to reorder 3x because they literally gave her 3 spaghettis. Portions are way to small for what you pay. Always phenomenal food and a great experience. Thanks for another great evening! Fantastic Italian food and wine and great service! Small venue and it was full ... so a bit noisy. Great dinner. Server Amy was great. Appetizers are great for sharing. Excellent food and service. One of the top three restaurants in Edmonton. Every time I go back to Cibo Bistro I have an overwhelming experience. The food, service and ambiance can’t be beat! 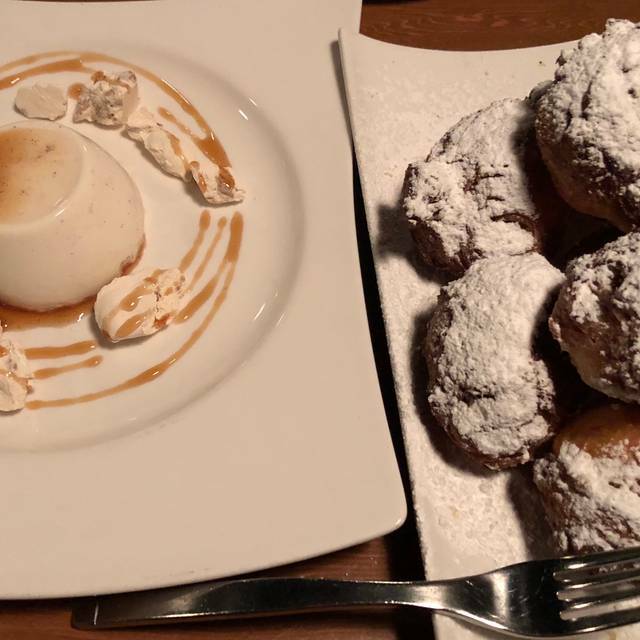 We had a great time and the food was excellent, especially the arancini balls and ribeye bistecca. Wine was great and service was exceptional! Always enjoy our time at Cibo. Excellent food and wonderful service. One of the best restaurants I’ve been to! The service was great, and the food was incredible. Excellent food and service as always. We will be back! Slow service but waiter was nice. Food was good but below average for higher end dining. Forgot to give us our takeout. Everything was great except the very small portions. The lamb entree I got was very well cooked except it lacked flavour- more flavour would have nailed it. Overall we had a good experience. It was a wonderful evening with great service and delicious food. From drinks to appetizers to dinner and dessert everything tasted amazing and was delicious!!! Great service from Jordan! All the food was great. As indicated by the stars,everything was excellent! Well worth a visit. The food was amazing but not nearly enough. We shared an appetizer and each ordered a pasta dish, spent $100 and left hungry. We had to pick up more food on the way home. Atmosphere and service were great. The waitress was very knowledgeable of the menu and made good recommendations. We will not go back, if we’re going to spend that much money on dinner we’ll go somewhere with better value. The food was good. Appetizers were better than the mains. If I went again, I would just have appetizers. Food came out very slowly. I'd like to get back again soon. Amazing food and service! Will be back for sure!